“The Chosen One” (TCO) aka “Malaysian Official 1” (1MO) must be constantly looking over his shoulder, to see who will do a Brutus on him. Thanks to Hadi Awang & co, and the spread of conservative Islam, a woman cannot be prime minister, but is only good enough to be a “1MalaysianHousewife”. 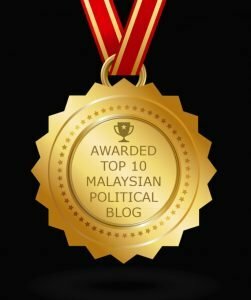 With rumours circulating that Zahid will succeed “1MO” by the end of the year, here are 11 reasons why his appointment should not happen. (I list 11, because this is allegedly “1MO’s” favourite number). 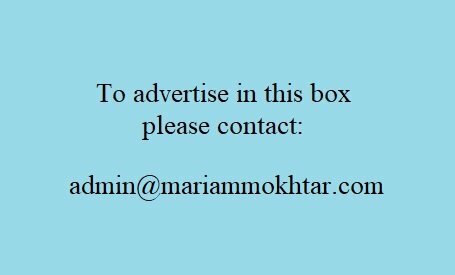 You may have more reasons to add. No love for the press. Zahid has an intense dislike of journalists from the alternative media, whom he has accused of “spinning”. He has warned these journalists and said that he was watching their every move, and their every word! Actually he should be careful. WE are watching his every word and move! RM12 million scandal. When four Malaysians were kidnapped by militants linked to Abu Sayyaf, Zahid said that the RM12 million ransom collected, was handed to various Muslim charities in southern Philippines. The police alleged they had no knowledge about this money. Who is telling the truth and in the end, Abu Sayyaf said they only recieved RM8 million. What is happening here? Family Affair. 1MDB was shown to be a family affair. Step-son etc. With Zahid it will be like going to a supermarket and getting “Buy One, Get One Free” (BOGOF). Remember Zahid’s gobby daughter and her description of MAS stewardesses? Politician’s children should shut up or else run for election. Umno-Baru is already like an extended family institution. We do not need another family run business in the premiership. Reform or replace. It is not good enough to remove 1MO, because Umno-Baru is as much a part of the problem as 1MO. The system needs fixing and Zahid is not the one to do this. Distraction. 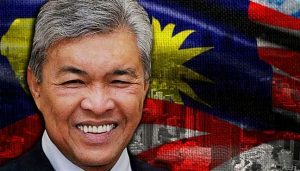 Days after the FBI and American Department of Justice (DOJ) lawsuit, Zahid advised Malaysians not to be distracted because we have several challenges faced by our nation. He is right. Corrupt officials. Denials by office holders. Cover-ups. Hiding the truth from the rakyat. Whitewashes. Abuse of power, Injustice. 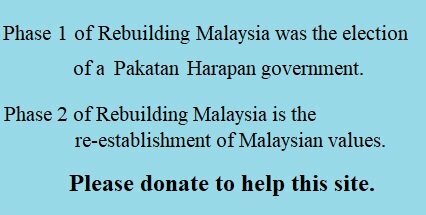 donations. Billions being deposited into personal accounts. Official Secrets Act as a convenient tool to contain information. Shall I continue..? Is there no one else? A few years ago, when 1MO replaced former PM Abdullah Badawi, some said that 1MO could not possibly do any harm. Last year, former Law Minister Zaid Ibrahim suggested we give Zahid a chance and that Zahid could not be worse. No! We need new blood, not people whose blood has been tainted by the Umno-Baru disease. Gangster links. Zahid defended the Malay gang Tiga Line and said they were harmless. Would Obama say the Mafia are “legitimate businessmen”? Crooked politicians all over the world are known to outsource their dodgy dealings and violent tactics to thugs and the criminal underworld. We do not need thugs in office anymore. Poor judge of character. In January 2015, Zahid contacted the Federal Bureau of Investigation (FBI) to say that the gambling kingpin, Paul Phua, had provided valuable services in Malaysia’s national security. PDRM has said that Phua was a member of the 14K triad, but Zahid still defended Phua, who is accused of starting an illegal gambling syndicate in America. A person who is a poor judge of character should not be the PM. Conservativism. Some political analysts believe that Zahid is more conservative than Najib. Political commentator, Liew Wui Chern, alleges that Zahid may have been responsible for Najib’s U-turn on the abolition of the Sedition Act 1948, and also had a hand in replacing the Internal Security Act 1960 (ISA) with the Security Offences (Special Measures) Act 2012 (SOSMA). Men of Integrity. Successive leaders have milked the nation dry and transferred their wealth offshore. It was alleged that in 2012, Malaysians accountedÂ for 17% of people buying up new, exclusive London property. How convenient to hide one’s ill gotten gains in the form of property. Best man for the job. Why should Malaysians settle for second best? Our system has been corrupted, through successive generations of Umno-Baru and BN hypocrites, who feathered their nests and ignored the rakyat. If we have to wait a few more years for the best man or woman for the job, we will. Can’t even speak proper english. Shameful.